I’d been seeing trailers for the film for a while and happened to notice it was based on an Indie book. When my bookclub peeps suggested we read it I was all for giving it a chance. If you’re offended by strong language then I want to start by saying this book isn’t for you. 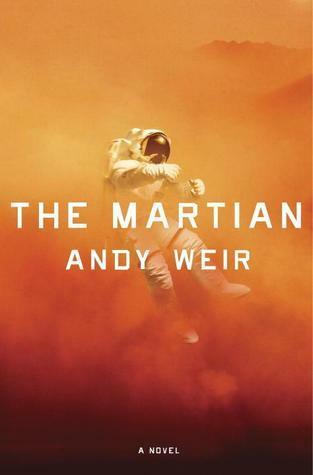 The F word features on the first page and it and several other words like it are used throughout the book, but to be honest, I think if I was stuck, alone on Mars, and already aware I’m likely to starve to death because no one knows to come rescue me I’d not be too picky about my language either. That’s pretty much where this book starts. Guy, on Mars, pretty sure he’s going to die but trying not to anyway. There’s a lot of science as our hero is a botanist and an engineer, but for the most part it’s well explained even if I did find myself skim reading a few bits so I could actually find out if he survived. It had me unsure whether he was going to live pretty much throughout the book, which is pretty good going for this sort of book. Usually the writer makes it too obvious one way or another. 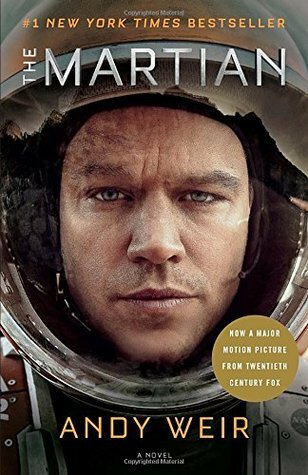 And for a book that’s mostly held up by one character it’s a great one character and I love the idea that Matt Damon played him in the film. I think that’s likely to have been perfect casting. The downside of the book for me was the other characters. They really were just there to support the main character and in a lot of cases were the same sort of person. They all joked in the same way (regardless of gender) and although the writer evidently tried to give them some differences they were almost identical people with different names. It was probably a good thing all the other characters had very small parts. All in all I really enjoyed the book, even if I was a little disappointed by the secondary cast. I couldn’t put it down and loved the main character.